This Christmas, it seems that I’m all about typography. If you’re a printable (especially a free printable), WATCH OUT. I’m about to make your Christmas destiny come true. 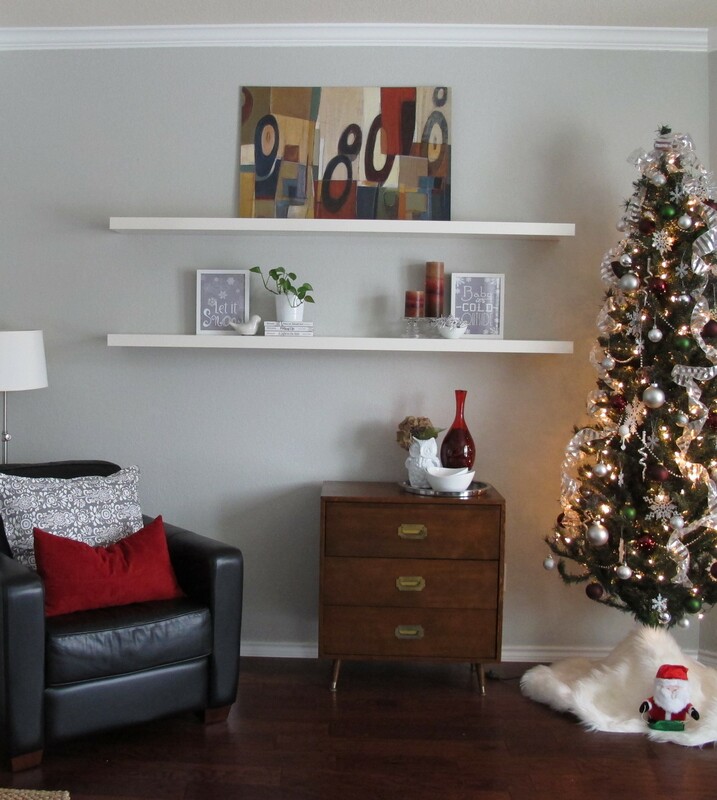 Since our Christmas tree is located right next to our shelves, I wanted to keep the shelf decor simple. 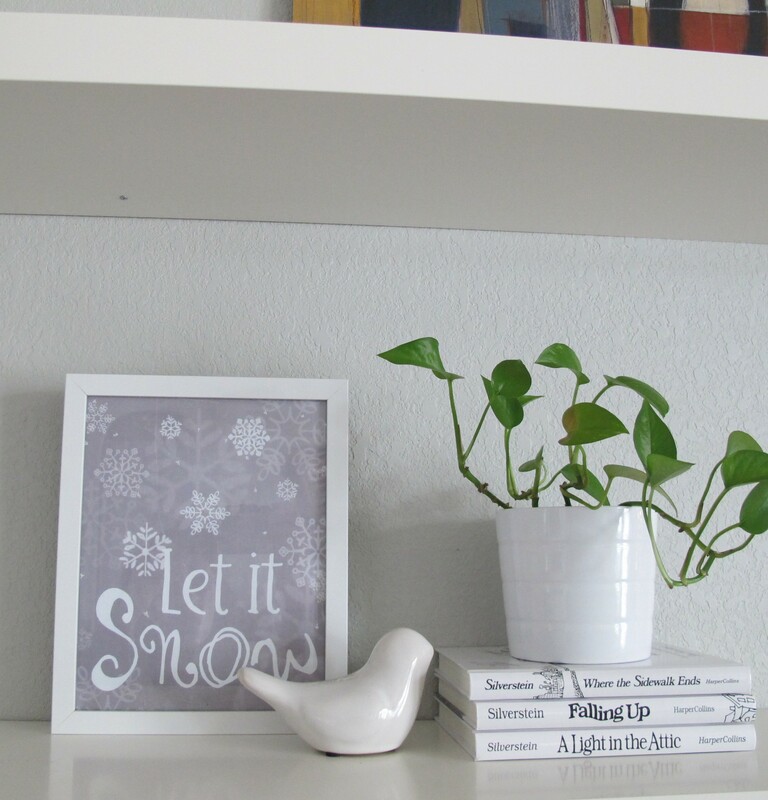 I googled “free Christmas printables”, printed these two beauties off on plain computer paper in 8″x 10″ size, and stuck them in a couple of simple white Ikea frames that I had laying around. Then, I had this next pic (found on Pinterest (source)), printed at Walmart in 11″x14″ for around 5 buckaroos. I must say, the photo’s resolution was a little low for this enlargement, thus it came out slightly fuzzy. But, I don’t mind. 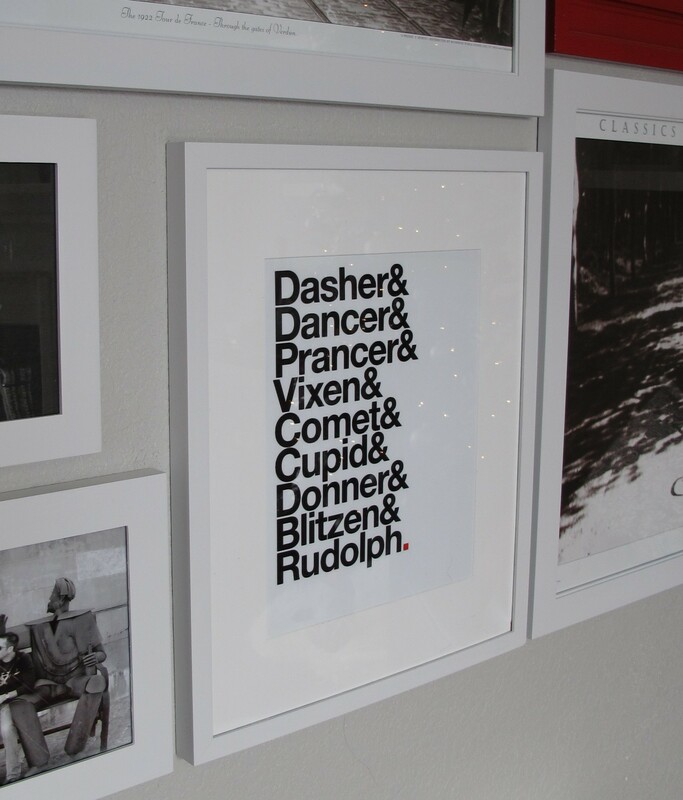 I replaced our large engagement pic in our frame wall with my new lovely reindeer print…. And I adore the result so much that I’m planning to find some sort of typography art to replace my reindeer names once the holidays are over. 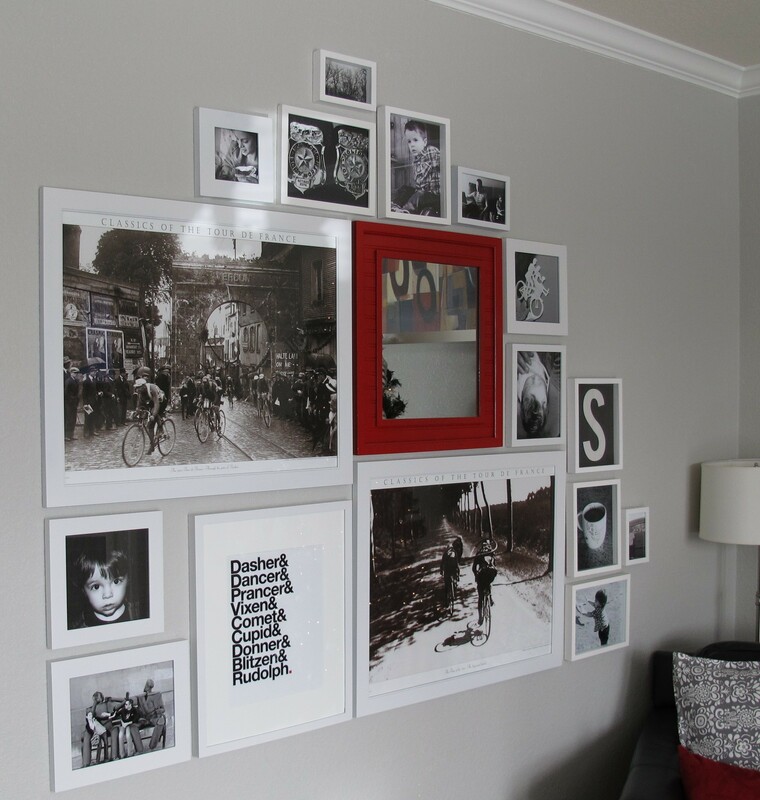 The simple, graphic black and white words really break up the busier photos and add some fun interest to the frame wall. Love. Like, with a capital LOVE. 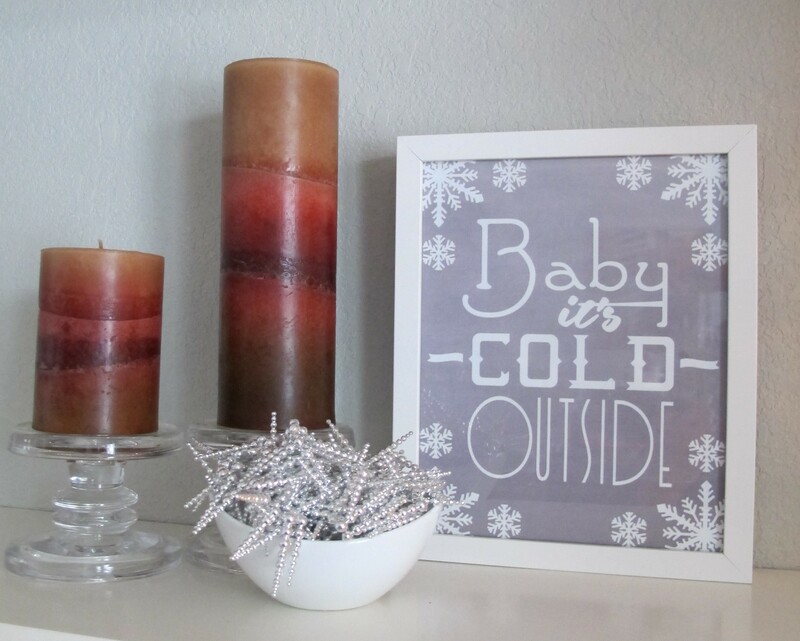 When I printed pics for the shelves, I originally chose this next guy to go with “Baby It’s Cold Outside”, but he was a smidge too simple up against “Baby’s” snowflakes. In lieu of wasting him, I placed him in a wooden frame and set him on a stack of books with an orchid plant on our counter…. 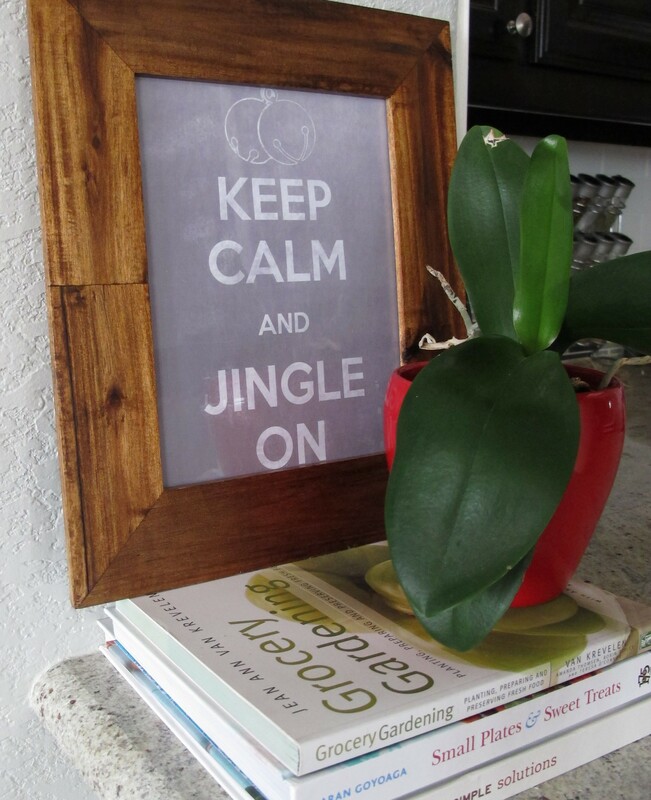 Keep calm and jingle on, baby. This needs to be my mantra for the season. Seriously. So, free printable decor is totally floating my boat this year, for sure. Any free decor you’ve scored this season? Cheapo ideas to share?